For the ‘roos would be sure to run. Was the place of the ‘roo abode. ‘Twas our private outdoor zoo. Standing taut with an unknown fear. And adjust to the urban creep. As developers finished their work. So their fear could test its mettle. They’d come with intent to stay. And humans replaced ‘roo faces. 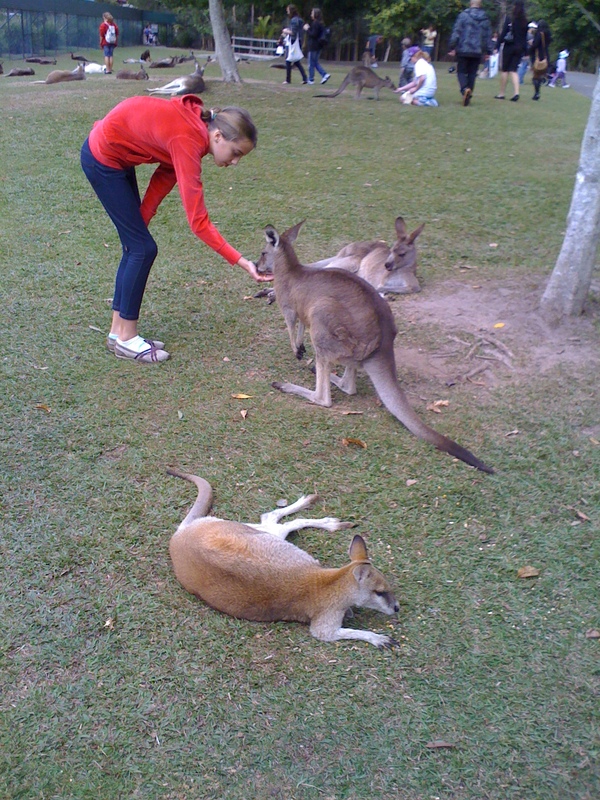 Note: Australians commonly refer to kangaroos as roos. Who is the animal, I wonder. Another well written poem with a taut theme. Nice to have you back Eric. Great poem sweet Ian. I don’t think enough consideration of wildlife is given before people begin building in some areas. The animals need their place too. I love wildlife and it makes me sad when I think of what mankind is doing to them. It must be a difficult call for our governments. Rising populations mean people need to have a place to live, but in the process habitats are affected. There is a growing realization in this country that perhaps we need less living space on our properties than we have desired in the past. If we want to keep our animal populations we will have to preserve their habitats and use less space for our own needs. An excellent poem and post and a reminder that we share this planet with others. It’s hard to make the trade off between housing increasing populations and protecting the wild life habitat. Fortunately governments these days are acutely aware of the mistakes of the past and have plans to care for our obligations to wildlife. This actually happened. Behind our home was all bushland and the kangaroos came up to our back fence. Now we are in the middle of a gigantic suburb.